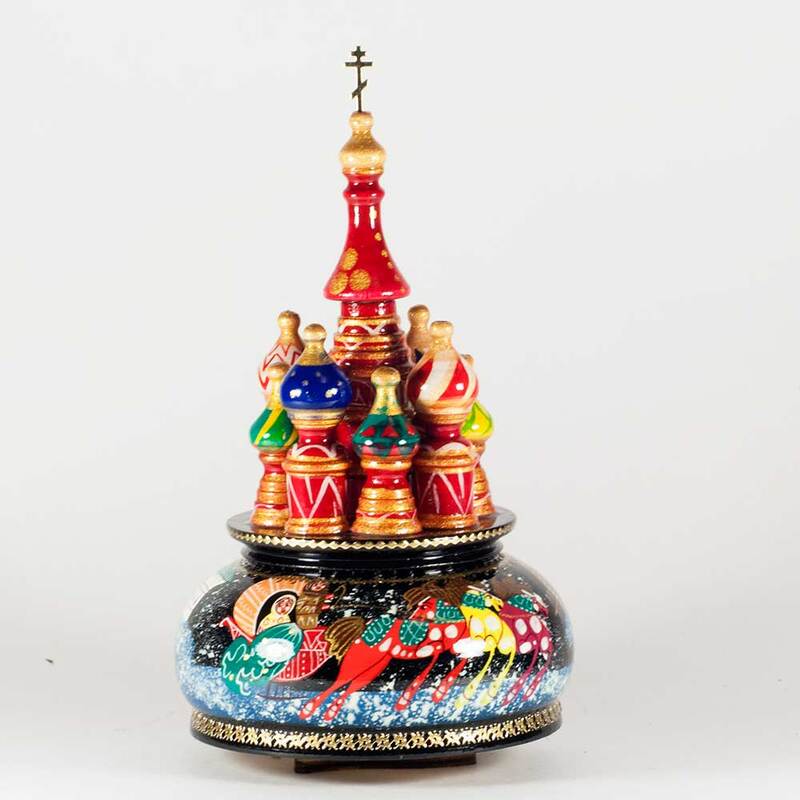 Music Box Russian Winter Troyka is e made in shape of Russian churches -St. Basil Cathedral in Moscow. 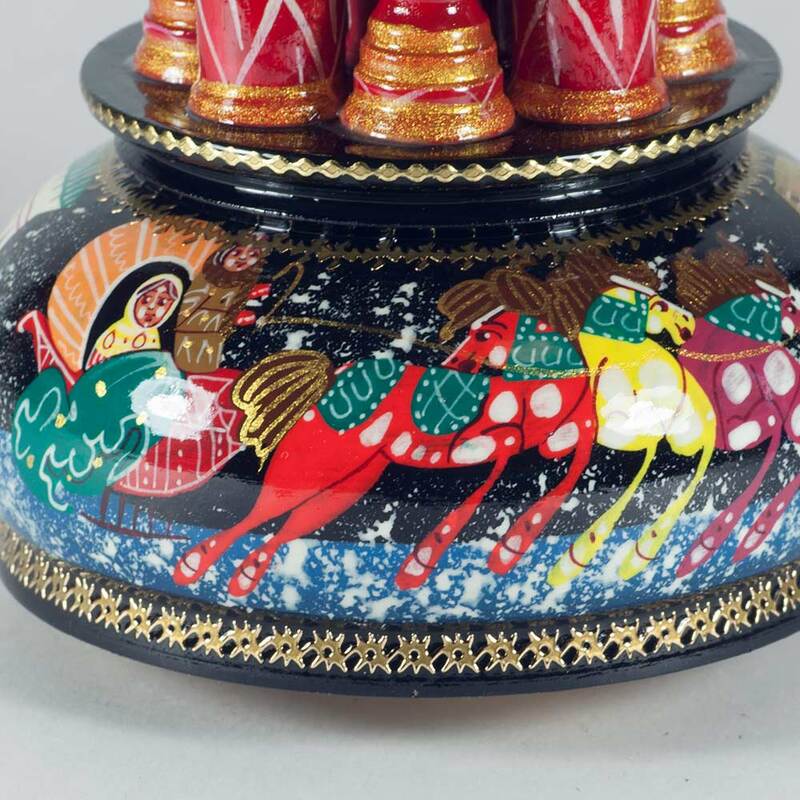 Inside the musical box there is a musical winding mechanism, after some winds of the spring you can hear a tune of Russian song "Katusha". 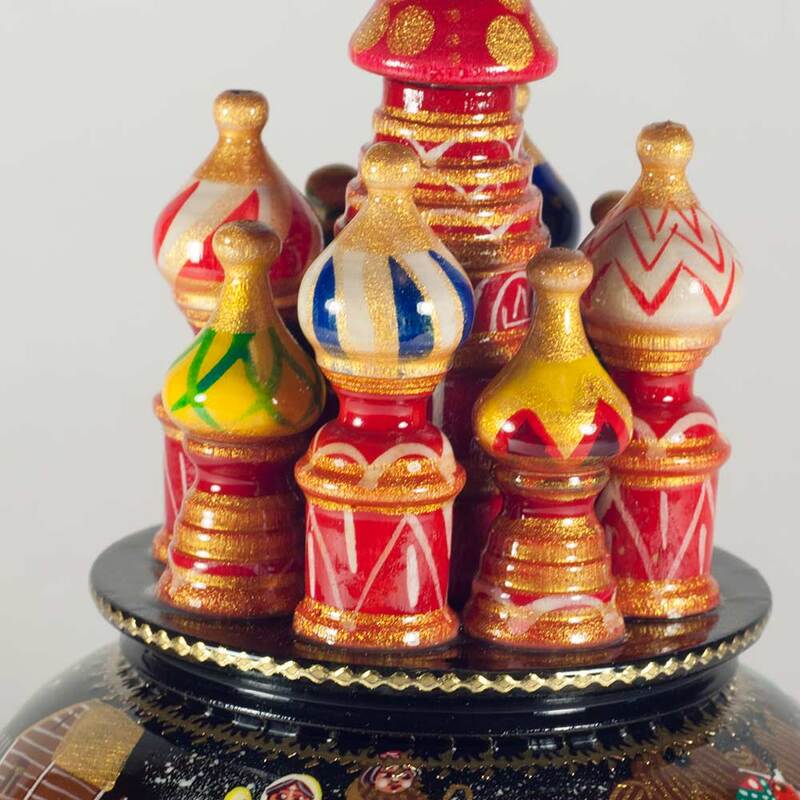 The musical boxes is entirely hand-crafted from wood, then hand-pained and finished with glossy oil lacquer. 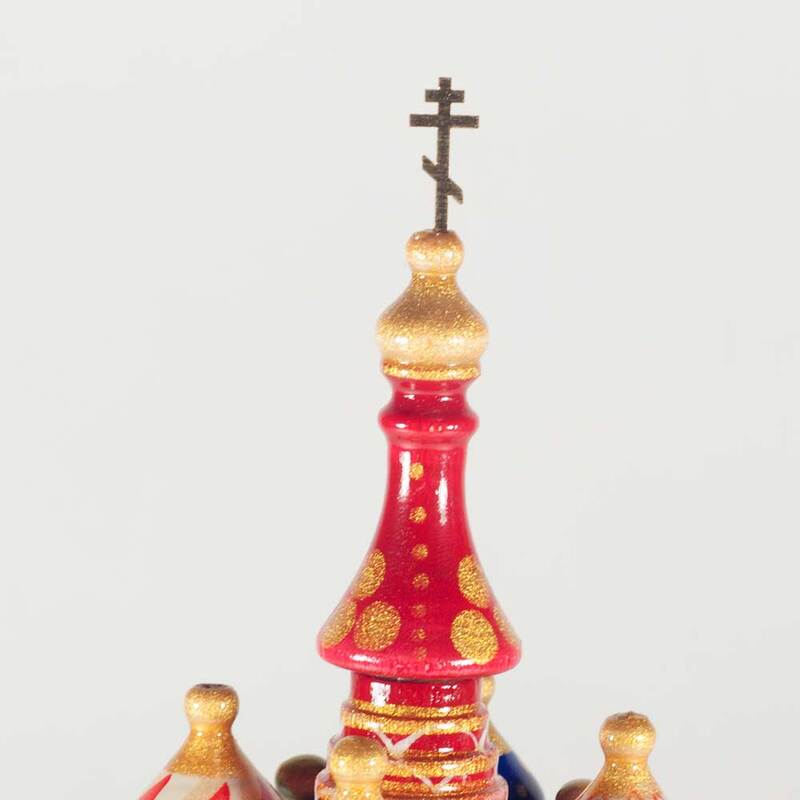 The tops of the church is decorated with tiny brass shiny cross. 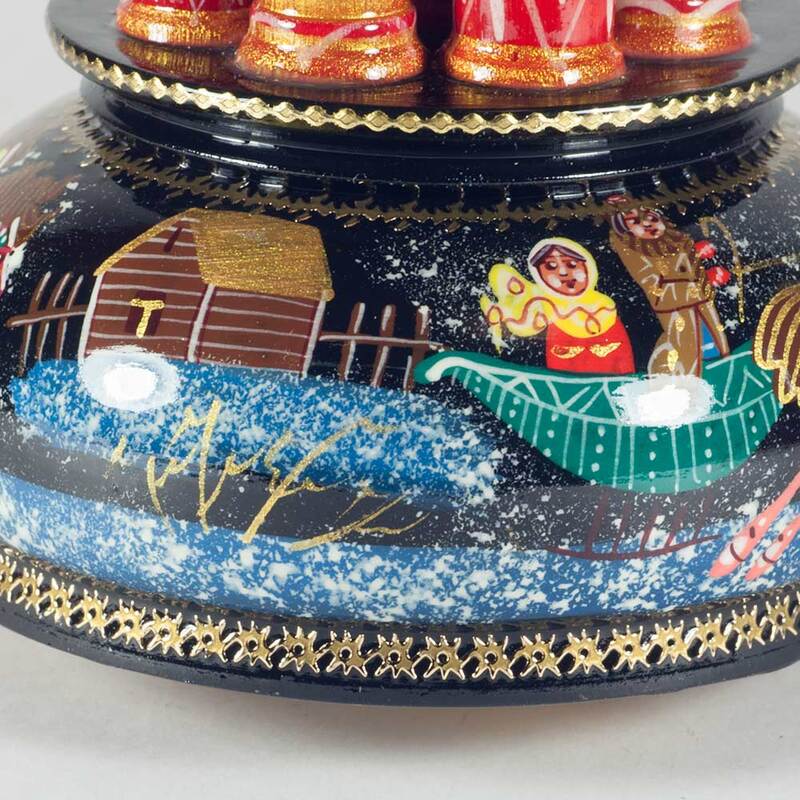 The bottom part of the musical box is painted with miniatures of Russian winter scenes.